These items are orderable as available. New home décor will be added, so check back often. 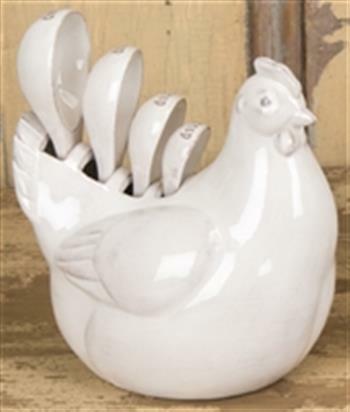 This dolomite hen has 4 measuring spoons: Tablespoon, teaspoon, 1/2 tsp and 1/4 tsp. Color is an ivory/white. Measure 6x4.25x6.75. 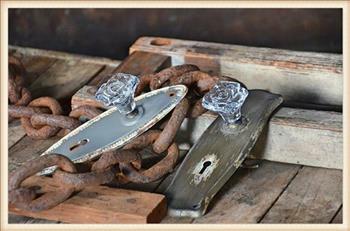 Great for a hostess gift! $30 - Free shipping. 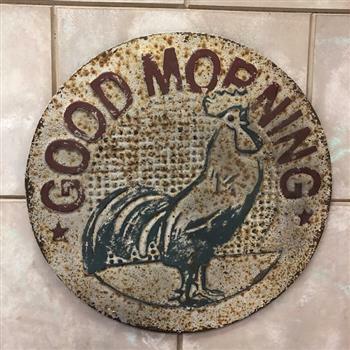 This adorable Good Morning rooster metal sign looks great in a kitchen. Measures 20.5"x20.5" round. $40 - Free shipping. A throwback to the 20's or 30's. 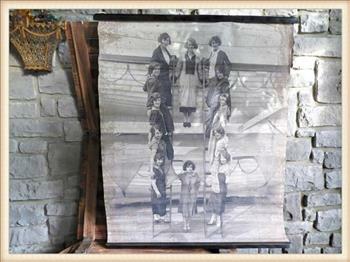 Ladder Girls is a hanging canvas 27"x46". Hangs by a 3-ply jute string. What a classic! $42 - Free shipping. Look like anyone you would have like to have known way back when. 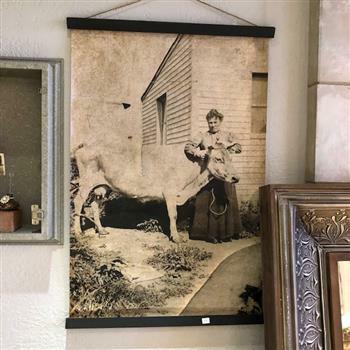 Hanging canvas. Hangs by a 3-ply jute string. $40 - Free shipping. 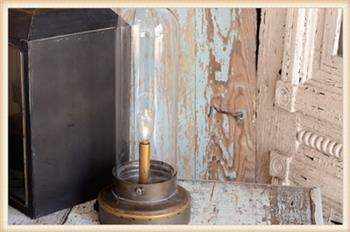 This glass and metal Led Cloche runs on 2 AA batteries. No cords giving it the flexibility to be placed anywhere inside or out. The Led bulb lasts for 50,000 hours. On/off switch on base. Measures 6x6x14. $45 - Free shipping. 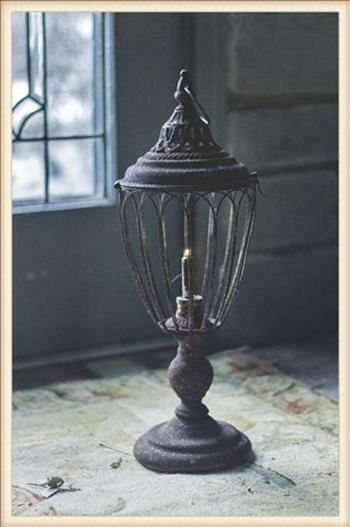 This charming metal wire lantern runs on 2 AA batteries. No cords so it can be placed anywhere inside or out. Perfect for a patio! The Led bulb last for 50,000 hours. On/off switch is on the bottom by the battery insert. 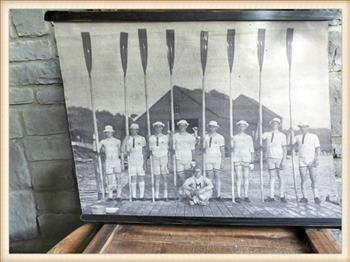 Measures 19x7. $45 - Free shipping.